Streamline sales and delivery processes with the ability to process credit cards and checks (ACH, Check 21) directly in the field. Get real-time visibility to inventory on every truck and interface with accounting and ERP systems. eMobilePOS for Android, Apple iOS, and Windows smartphones and tablets, enable account managers to visit more customers, resulting in better margins and higher volumes. Mobile invoicing. Improve cash flow and accuracy. Orders, invoices, and estimates can be created directly on a mobile device during customer visits and the customer can review and sign directly on the screen. This reduces errors while shortening the lead time from order to payment with positive impact on cash flow and margins. Orders and invoices can be sent directly to the ERP system from eMobilePOS. Mobile check and credit card processing. No delays. Direct store delivery organizations can sell inventory directly off the truck and invoice and charge clients on the spot rather than generating orders that go to the warehouse for fulfillment and invoicing. eMobilePOS provides the ability to accept card, check (ACH, Check 21) and cash payments directly on the mobile device with support for off-line mode. 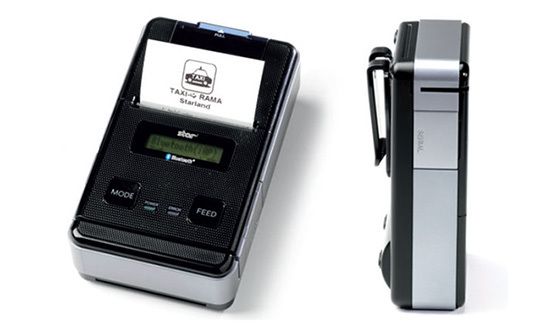 Customers sign on the screen and a receipt can be emailed and/or printed on a mobile printer. eMobilePOS provides information about all scheduled routes and deliveries can be tracked in real-time. 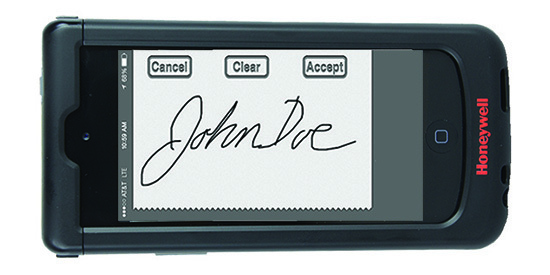 Customers can sign on the screen as proof of delivery. eMobilePOS gives full inventory visibility and access to product information and pricing, including variable or pre-negotiated pricing. Field associates can look up if an item is in stock and view inventory per truck or location right from the mobile device. Mobile customer data. Improve customer satisfaction. New customer profiles can be added or existing ones can be updated directly in the mobile device. eMobilePOS enables upselling and cross-selling by providing access to the customer’s purchase history. Discounts can also be applied based on customer profile. 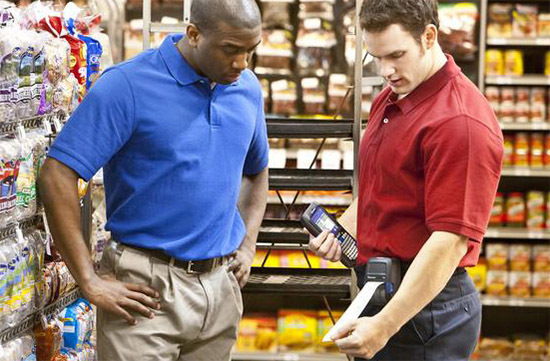 Create orders by scanning or tapping. No more papers. New orders can be accepted directly on the mobile devices.  Products are added to an order by simply scanning the item’s bar code or by browsing and selecting items from the electronic product catalogue. The catalogue uses product images, making items easy to find. Track sales in real-time. Be proactive not reactive. Web-based analytics provides real-time insight to the business performance and can be accessed from the mobile device or any other computer. 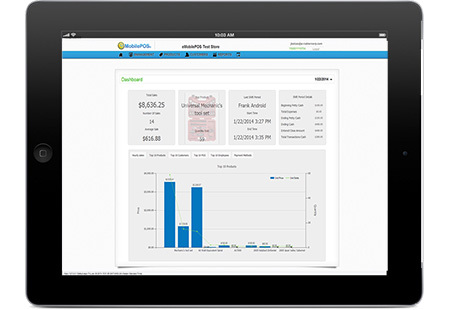 eMobilePOS tracks sales, inventory, and taxes for one or several locations. eMobilePOS does not lock you in with a payment processor, it allows you to pick the most cost-efficient card acceptance solution for your business. eMobilePOS is sold as Software as a Service (SaaS) – with no upfront software license expenses or investment in servers, making it affordable even for small business owners. The low monthly subscription fee includes maintenance and support as well as all future updates of eMobilePOS. Compatibility. Integration with QuickBooks, SAP and SAGE. eMobilePOS offers full compatibility and seamless integration with QuickBooks, SAGE 50/100/300/500, Microsoft Dynamics RMS, SAP, Oracle to mention a few, making sure that all data captured with eMobilePOS in the field is sent to the back end accounting and ERP system and vice versa. A broad selection of certified peripherals such as mobile printers, card readers, sleds, stands, and cash drawers are available and provides plug-n-play installation right out of the box and can easily be adapted to different business requirements. 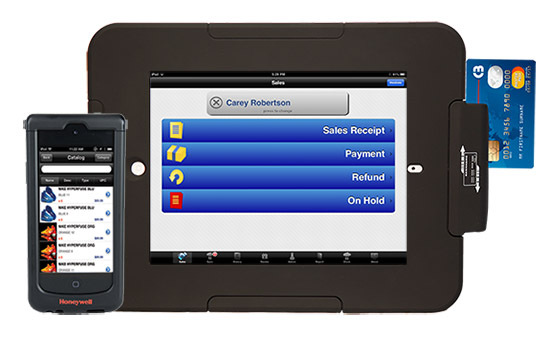 As an example, tablets can be used as a stationary POS stations and moments later they can be used for mobile applications on the sales floor. Experience eMobilePOS Live. Sign Up Now.